Avior is consistently functioning with consecutive real estate developments. 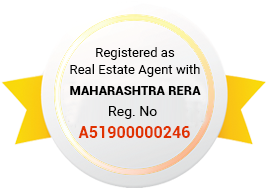 Avior Vanalika Pirangut is the one from the list of the developer getting developed in the Pirangut of Pune. With an enormous log of numerous residential undertakings, this real estate company is leading ahead on a path to the huge success in the real time. This project is a junction of various distinct delineated habitats at present. Innumerable developers have been landing back to back real estate projects in divergent parts of the country with a motive to bring a transformed living in dissimilar destinations nowadays. Eventually, Pune is heading towards to be established with a log of sustainable real estate undertakings all over in the real time. Realty in the eastern zone of the nation is competing to be on top with the extensive implementations. Avior Vanalika Pirangut Pune is a gigantic residential undertaking spread across 100 acres of total land area. This residential development is developing with a green stretch of 12 acres. This residential development has the abundance of 1000 residential spaces at present. There are 1 and 2 BHK segments of residences getting structured in this enormous residential development. Following amenities such as- leisure pool, clubhouse, gymnasium, library, music spot, nakshtra garden, acupressure walk etc are getting assembled in this residential plan. Avior Vanalika Price for the available sets of residential spaces starts from 15.90 Lacs. You can access Lavasa, Kothrud, Hinjewadi IT Hub and additional social hubs. Rapid transport services are available nearby this project at present. Start your tour to this emerging valley of in the eastern zone.